Ghana and 11 other African countries are set to benefit from an initiative meant to promote food security in sub-Saharan Africa. 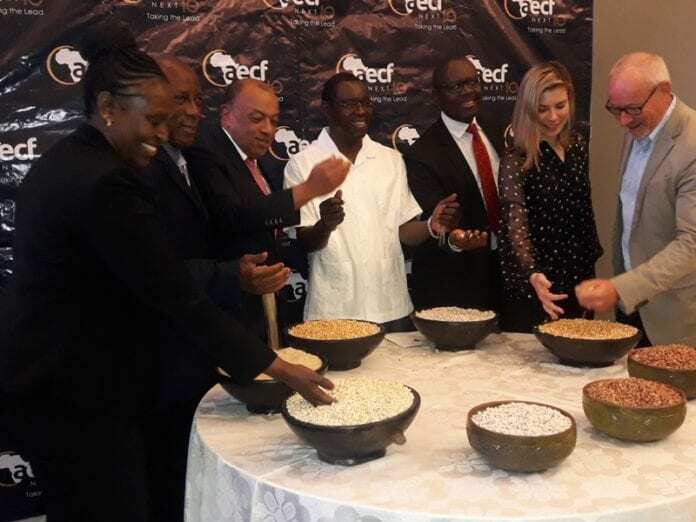 The African Enterprise Challenge Fund (AECF), a pan-African development finance organization, launched here late Tuesday a 60 million U.S. dollar fund to support aspects of food security programs in the beneficiary countries over a six-year period. The fund, which is intended to support agro-seed companies in these countries, will help increase substantially the incomes of thousands of smallholder farmers in sub-Saharan Africa by transferring to them in-demand, high-yielding and climate-smart seed and planting material technologies. “It’s a big step towards food security. Food security depends a lot on the ability of the farmer to produce good quality food,” Daniel Ohonde, chief executive officer (CEO) of the Kenyan-based institution, said in an interview ahead of the launching. According to him, the “Seed For Impact” funding, which is provided in partnership with the Alliance for a Green Revolution in Africa (AGRA) and Syngenta Foundation for Sustainable Agriculture (SFSA), will also help diversify food crop cultivation in the region. The six-year 60 million dollar program, with an initial funding of 10 million dollars from AGRA and SFSA, will target private sector companies in 12 countries — Nigeria, Ghana, Mali, Senegal, Burkina Faso, Ethiopia, Kenya, Uganda, Rwanda, Tanzania, Malawi, and Mozambique. “The input you have of course matters a lot and the seeds you have is one of the determinants of whether you get good yield or not. “So for us it is a big contribution towards ensuring that we are making good use of the land that we have; we can feed our people and we are growing the private sector that supports that seed sector,” Ohonde added. The grant will be given to seed companies who have proven to have the necessary programs in place to reach farmers with high-yielding seeds they produce. Launching the initiative, John Manfo, special adviser to the government of Ghana on agriculture development, stressed the critical need to getting the right seeds to farmers. “Smallholder farmers are those who have fed us over the years and so if we make them more efficient our agriculture will become efficient,” Manfo said.